If you are like most people, you walk thousands of steps each day. You walk to do your daily activities, get around, and exercise. It's something that you usually don't think about. But for those people who have a problem with walking, daily life can be more difficult. How is the cause of a walking problem diagnosed? To make a diagnosis, your health care provider will ask about your medical history and do a physical exam. This will include checking your bones and muscles and doing a neurological exam. In some cases, you may have other tests, such as lab or imaging tests. 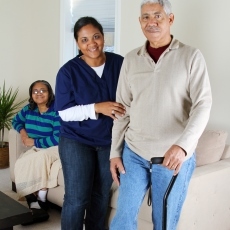 What are the treatments for walking problems?